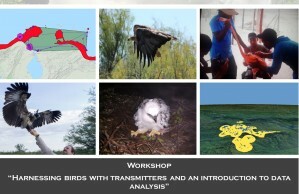 Summary of objectives: We will cover the process of attaching transmitters to birds, particularly large-body species such as raptors, from general insights of the bird’s well-being to specific analyses techniques to get home range sizes using GIS and R softwares. Half day will be hands-on, involving how to make a backpack-style harness, and using that harness to attach a transmitter to a bird skin. We will also discuss the utility of other attachment techniques (i.e tailmount, patagial) and conduct some data management and analyses exercises. The goal of this workshop is to contribute to building skills in the scientific community of the Neotropical region for application, management, correct fixing and analyses of data using telemetry techniques. 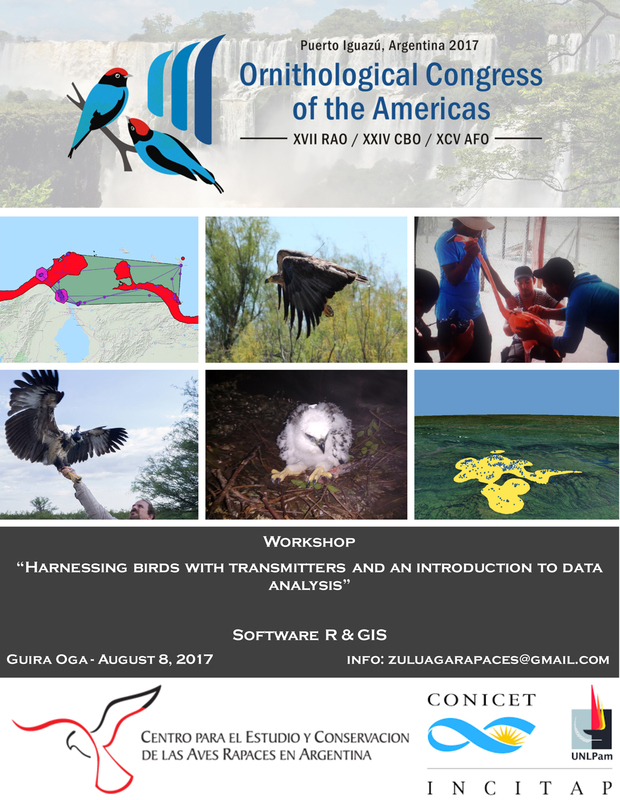 We hope this workshop will foster the start of new telemetry studies in birds in the region. Requirements: People attending the workshop must bring their own notebooks. The course will be taught in Spanish. Syllabus of topics to be covered: Introduction to methods, techniques and experiences. Instructions for building the harness. Building and harnessing the transmitter. Introduction to methods and analyses techniques. Data processing and analyzing to obtain birds home ranges and classification of animal movement behavior.